Important Notice: We are very sad to declare HiTicks Mega Giveaway is canceled due to lack of interest in participation in the contest. Our sponsors did have a threshold activity requirement for the giveaway, which, unfortunately, was not obtained in the giveaway. Hence, the giveaway stands canceled and no further participation will be entertained on this regard. 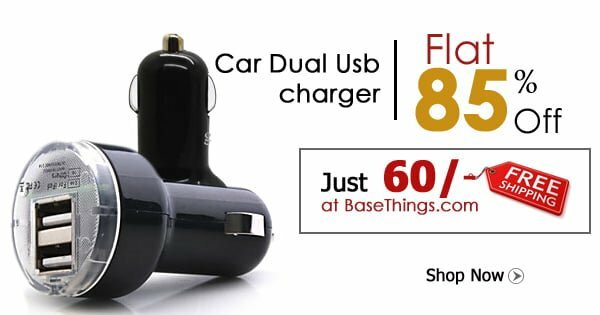 About Basethings: Basethings is your very own online shopping store where you can get a wide range of your favorite products at a huge discount and save money while shopping online. From electrical goods to personal care items, health and beauty, traveling accessories, stationery items, funny and crazy gifts it has all. What’s special? Basethings delivers your product free of cost anywhere in India. You need not pay for anything you buy from Basethings. Payment methods are very suitable. you can choose between Credit or Debit Cards, Net Banking, or Cash on Delivery. Check out Basethings here. Now let’s move on to the available prizes for the giveaway. Here are the rewards for the giveaway. Click on the items to view them. Every great thing comes with a task, here too, considering the giveaway prize value, we have decided NOT TO CHOOSE WINNERS RANDOMLY as this makes someone lucky and someone unlucky which is a bit partial, of course, even if we use any randomizer for that. Therefore, this giveaway, you will only get the reward on your performance on the task. The contest starts Today, 9th July 2015, Thursday, and will remain active till 31st July 2015, Friday. 1. Like Basethings Facebook Page. This is must and will be verified. 2. Sign up on Basethings Website. While Registration, give your real contact details so that if you win the prize, Basethings Team can deliver it to your house. 3. Gain more Entries to win from below. The more entries you gain, the more the chances of getting rewarded. Enter your Name and Email below. 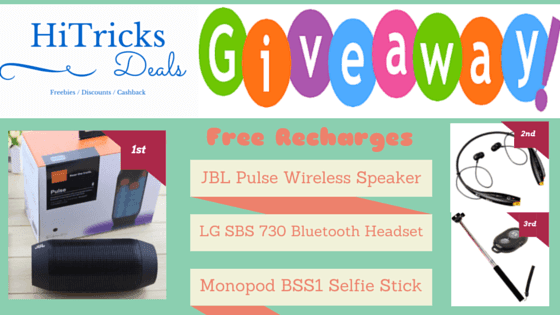 Click Join Giveaway. Then you can see your referral link. Share your referral link with your friends on Facebook, Twitter, Google Plus, or Pinterest wherever you want. For each friend you bring in, you receive 1 entry. The top 10 users with maximum entries will be selected as winner and rewarded accordingly. You can check the leaderboard below to know the top referrers. We will update it on regular intervals. Note that you need to invite a minimum of 10 friends to qualify for the giveaway. Best of Luck. Hope you become our winner. 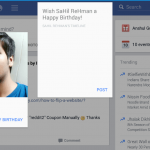 Now start sharing your referral link on social media and start earning points. Warning: Don’t try to generate fake referrals. We will have your IP address as soon as you Join the Giveaway. Its very easy to detect fake referrals. While you can win the rewards, here’s a small offer from Basethings just for you.Winners will be declared on 1st August 2015, Saturday. We will contact the winners via email. Best of Luck! This product is available at a special discount of 85% and you can get it just at Rs60. You don’t have to pay for the shipping charges either. You can get it delivered for free anywhere in India. Grab this offer now. 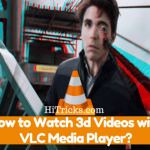 Tutorial: How to Watch 3d Videos with VLC Media Player?